I hold a Bachelor's Degree in Radio, TV and Film and my Masters and PhD in Information Science. Prior to my appointment at Laurier, I held the Rogers Research Chair in News, Media, and Technology at Ryerson University. I also held faculty positions at Syracuse and Drexel universities where I taught User-Centered Design, Usability, UX, Knowledge Management, Information Architecture, and Digital Reference. I also spent time working as a researcher at CNN, and in educational technology for IBM. My research bridges multiple disciplines and appears in the journal literature of computer science, humanities, communication studies, information management, and media studies. For more than 20 years, my research has focused on the study of how humans seek, use, share, manipulate, store, retrieve, and organize digital multimedia. I was founding Director for Social Science Research in a $23M Canadian Centre of Excellence that served as both a research network and commercialization engine in order to address complex issues in digital media and transform multidisciplinary research into user-centered solutions. 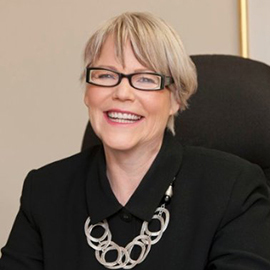 I have served on a variety of research committees, management boards and boards of directors, and have extensive experience in peer review processes at all levels including: the Ontario Ministry for Research and Innovation, the Social Sciences and Humanities Research Council of Canada, the National Endowment for the Humanities (U.S.), and the National Science Foundation (U.S.). I have also served on the boards of Canada’s Technology Triangle, the Canadian Digital Media Network, the Accelerator Centre, SHARCNET, the Southern Ontario Water Consortium, and the Ontario Council on University Research. I welcome undergraduate students, graduate students, and postdoctoral scholars from any discipline to collaborate with me on research projects related to any aspect of user centered design. As well, I have served on a number of masters and doctoral thesis committees (several of which have won prestigious national and international awards). Deveau, D. & Goodrum, A. (2016) Mapping Culture in the Waterloo Region: Exploring Dispersed Cultural Communities and Clustered Cultural Scenes in a Medium-sized City Region. Culture and Local Governance, vol. 5, no. 1-2. Pg61-82. Zeller, F., O’Kane, J., Godo, E., & Goodrum, A. (2014). A Subjective User Typology of Online News Consumption. Digital Journalism Vol. 2, no.2. Goodrum, A., Bejune, M. & Siochi, A. (2003). A state transition analysis of image search patterns on the Web. Lecture Notes in Computer Science , volume 2728, pp. 281-290. Goodrum, A., Rorvig, M., Jeong, K., Suresh, C. (2001) An open source agenda for research linking text and image content features. Journal of the American Society for Information Science. 52(11), 948. Goodrum, A. (2001 ) Multidimensional scaling of video surrogates. Journal of the American Society for Information Science. 52(2), 174-183. Fall 2017: Wednesdays 11-1 or by appointment. Note: I guarantee my students "office hours for life." If you can't find me in my office, you will probably find me in the Experience Lab in the MDC building.